John Tinkler (1928-1982) - Civil Defence & Apex Club, Cessnock. Recorded 5 December 1980. Jim Orr (1909 - 2001) - Mine worker and football enthusiast. Recorded 23 January 1979. 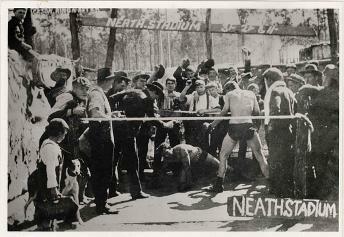 Boxing at Neath, NSW, 1910. Norm Barney Collection, University of Newcastle Cultural Collections.